Dr. Bijuna C Mohan has been working as an Assistant Professor in the area of Marketing at School of Management, National Institute of Technology Karnataka since 2008. She has over six years of industry experience and over eleven years of teaching experience. Her areas of research include brand management, consumer behaviour and marketing strategy. She has presented papers at various conferences, published articles in journals and has written a few case studies. 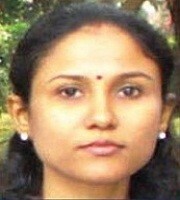 She received the ABP News National B-School Award for Best Professor Teaching Advertising Management in 2012.